The Cooks Next Door: Irish Tea Cake & a Giveaway! Irish Tea Cake & a Giveaway! 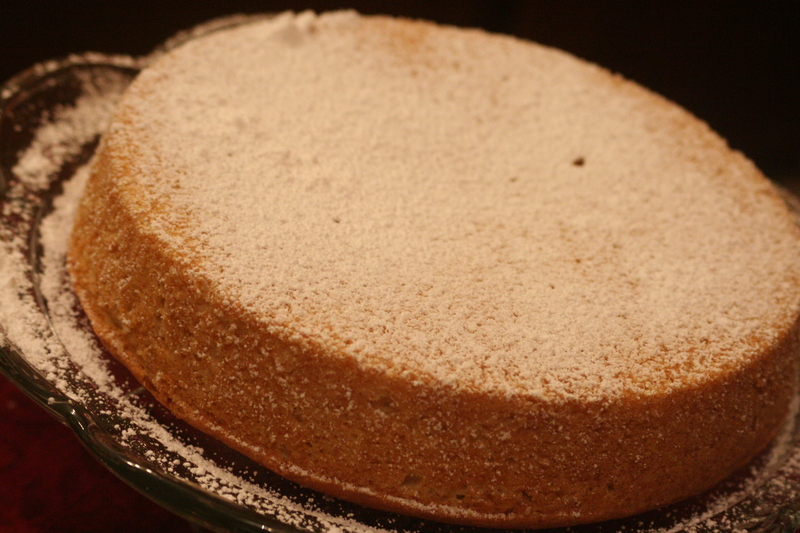 Tea is quite British and so in keeping with our Irish theme, here is a delicious and easy tea cake. 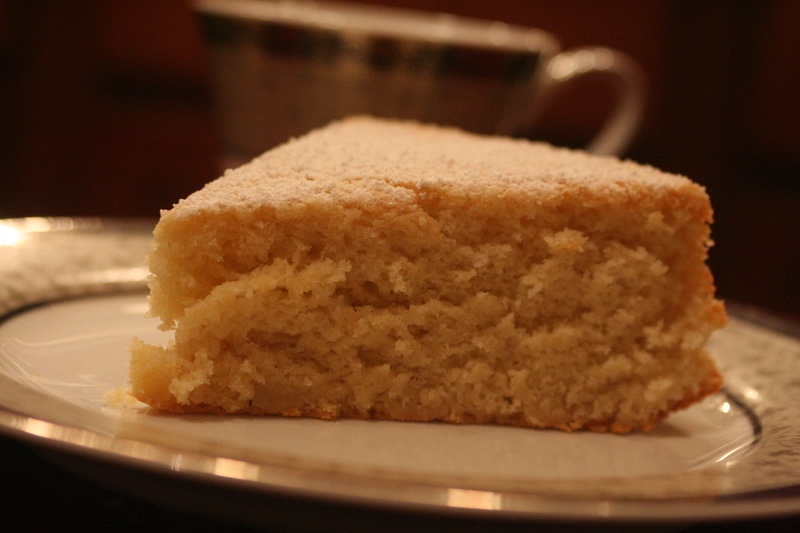 My husband described it as a sugar cookie cake - meaning he really liked it. It's delicious served warm or at room temperature. 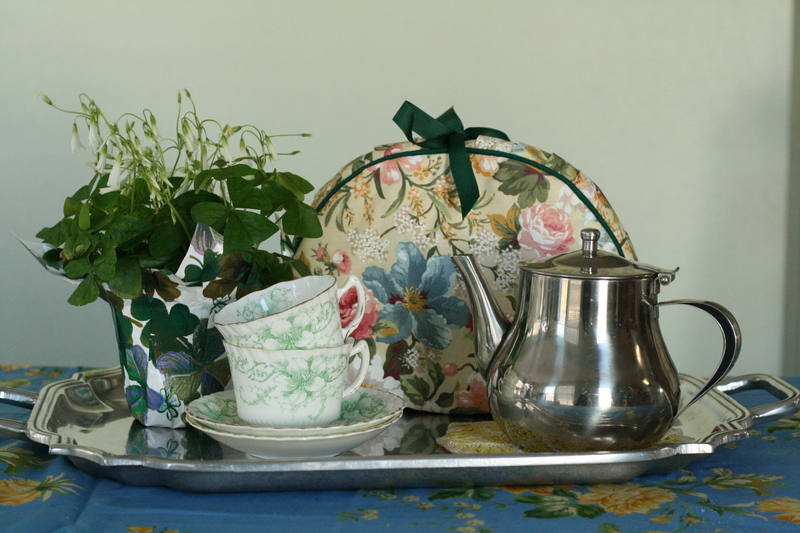 Tea is traditional but it would also make a wonderful accompaniment to coffee. You could top it with seasonal berries for the summer or fresh whipped cream but I really enjoyed it with just the powdered sugar! Preheat oven to 350 degrees F. Grease a 9 inch round pan. In a medium bowl, cream together the butter and sugar until light and fluffy. Beat in the eggs, one at a time then stir in the vanilla. Combine the flour, baking powder and salt; stir into the batter alternately with the milk. It's a very thick batter. Spread the batter evenly into the prepared pan. Bake for 30 to 35 minutes in the oven, until a toothpick inserted into the center comes out clean. Cool in pan on a wire rack, then turn out onto a serving plate. Dust with confectioners' sugar right before serving. We are also having a giveaway! Heather makes beautiful tea cozies (which are available in her wonderful etsy store) and so today we are giving away this gorgeous small tea cozy. It's perfect for keeping your tea warm! Heather recommends Trader Joe's Irish Breakfast Tea for enjoying at tea time. - Leave a comment telling us your favorite tea or hot drink - one per person, please. 2) Blog about this giveaway. 3) Facebook about this giveaway. 4) Join our facebook group. - That makes a total of five entry opportunities. If you already follow us on twitter or are in our fb group, just leave us a comment letting us know and we will add the extra entries! - This drawing will be open until Thursday night. Blogged about this, am a part of the FB group & FB'ed about this too. James and I love drinking and talking over tea together in the evening. Our favorite is good earth! I am a fb friend as well. Chai tea is my favorite. Spicy and invigorating. Yum! Thank you for the entry. I am going to Facebook now. I'm running over to Twitter and Facebook! i am also part of your fb group. I would have to say hot Chamomile tea just before bed. Always relaxing. I love white chocolate chai. Delicious! (I follow on twitter and I joined the FB group). I love English breakfast (with milk and sugar) or Earl Grey (with milk and sugar) in the morning. Tea+Toast+the Word is always a good way to start the day. Otherwise, I love all herbal and black teas (preferably decaffeinated) throughout the day. I love almost all tea (except for the popular Earl Gray and Constant Comment! ), but my favorites are probably chai, green with mint, and any black breakfast tea with milk and sugar. Also, I just joined your FB group. I love Earl Grey tea, but also just about every other type. I've recently given up coffee. I learned to drink tea when I was just a kid in England. Now I drink lots of tea, but my favorite is Chai masala. But Lady Jane Grey is a close second. Follow you on twitter already. My favorite do-it-yourself hot beverage is black coffee. If I'm going to splurge, I head over to Starbuck for a soy chai tea latte. I'm in your FB group. I'm an English Breakfast Tea girl myself, but I also love Lipton's herbal peach tea. I can't wait to try this recipe! I am part of the FB group, follow you on Twitter, mentioned the giveway on FB and blogged about the giveway. I am an English Breakfast Tea girl myself but I also love Lipton's herbal peach tea. I am probably the only tea drinker in the world who doesn't like chamomille! I follow you on twitter, am in the FB group, FB'd about this, and posted about it on my blog.